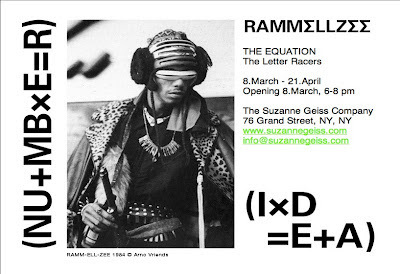 For six weeks only, Suzanne Geiss, from RAMMELLZEE's estate, with the help of Mrs. Carmela Rammellzee, is presenting a posthumous exhibition of RAMMELLZEE’s artworks and installations. 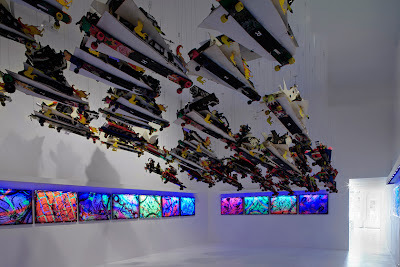 This unique show includes some of RAMMELLZEE’s work first seen at Los Angeles's MoCA "Art in the Streets." The 52 Letter Racers represent RAMMELLZEE’s philosophies: “Iconoclast Panzerism” and “Gothic Futurism” whose meaning is best explained by Magical Secrets as "the battle between letters and their symbolic warfare against any standardizations enforced by the rules of the alphabet..."
Spacetime These spaceships from another civilization were made 15 years ago from street junk which Susan Geiss describes as, "Canal Street perfume caps, spray can triggers, and king’s crown air fresheners.." With these, RAMMELLZEE unknowingly created the first "green" hip hop art installation! 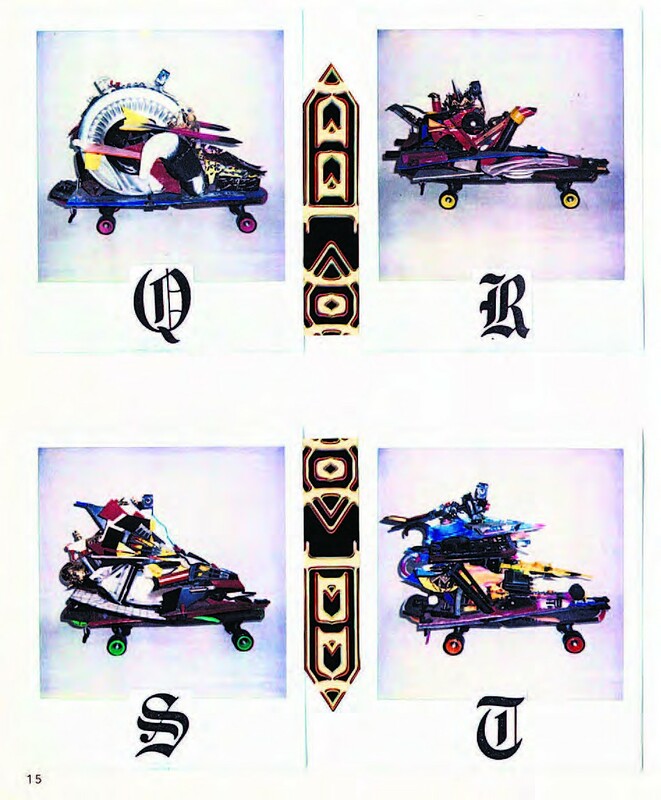 Back to basics But before we get lost in the complex Gothic Futurism, let's take a step back to the 80s and remember what put us onto RAMMELLZEE in the first place. After the Susan Geiss show closes, RAMMELLZEE’s influence will continue uptown at the prestigious The Museum of Modern Art which is will exhibit a third set of RAMMELLZEE’s Letter Racers as part of the Print/Out exhibition on view from February 19th through May 14th, 2012. 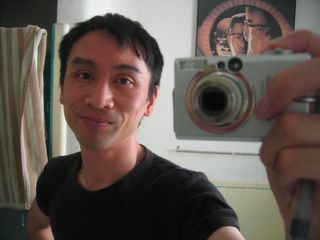 Hoi! Here's a dope interview from Dutch TV...This is a real education. Thanks to Patti Astor for the heads up on this show.